PART-CATALOG, PART-MAGAZINE, PART-ANNUAL REPORT, MANY PARTS IN ONE WHOLE. PUTTING ALL OF YOUR EGGS IN ONE BASKET. BANKING ON TRIGGERING TANGENTIAL THREADS RATHER THAN FOCUSSING ON A SINGLE TIGHTLY WOUND THEMATIC. INSTEAD OF SLIM PUBLICATIONS DISTILLING A SINGLE EXHIBIT, WOOD IS ADAMANTLY MAXIMALIST. WOOD FEATURES SIXTY-FOUR ARTISTS AND WRITERS FROM FIVE EXHIBITIONS AND TWO PROJECTS PRESENTED IN CHRONOLOGICAL DISORDER. ARTISTS FROM EMERGING TO ESTABLISHED, LOCAL TO INTERNATIONAL, OF VARIED DISCIPLINES, ALL PARTICIPATING GENEROUSLY IN THE VARIOUS DEVISED CURATORIAL CONCOCTIONS. IT ALL STARTS WITH THEM AND THEIR ART WORKS. IT CONTINUES WITH YOU AS VISITORS TO THE EXHIBITIONS AND READERS OF WOOD. INSTEAD OF CLOSING THE BOOK, WOOD SUGGESTS YOU KEEP IT OPEN, LINGERING, SPLAYED OUT FOR CASUAL PERUSAL AS WELL AS CAREFUL CONSIDERATION. WOOD IS TWO THOUSAND AND NINE IN A CRACKED NUTSHELL. A YEAR AT THE BLACKWOOD GALLERY COMMITTED TO PAPER FOR FARTHER REACH. WOOD LOOKS BACK TOWARDS THE FUTURE. 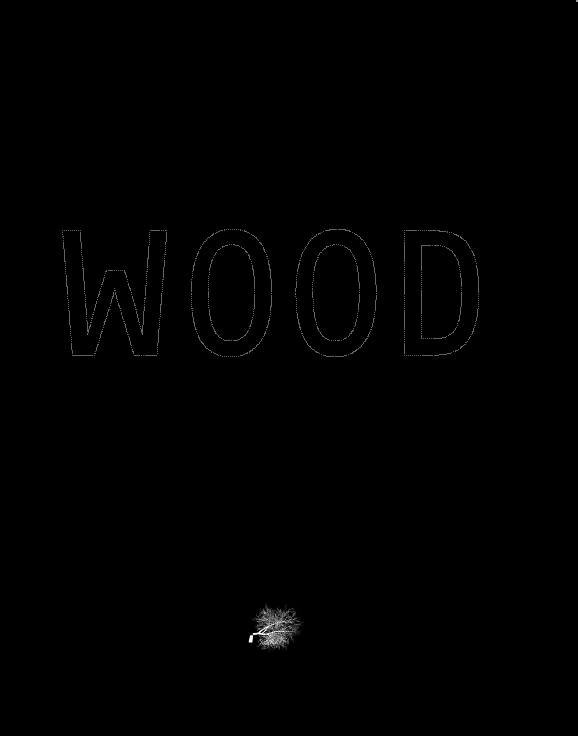 WOOD WAS. NOW WOOD IS. Includes ASMK projects: Self-Made Parachute, Seven Inch Fall and the Cry School Yearbook collaboration. For more information visit the Blackwood Gallery’s website. This was written by admin. Posted on Saturday, April 30, 2011, at 7:55 AM. Filed under Events, Publications. Bookmark the permalink. Follow comments here with the RSS feed. Both comments and trackbacks are currently closed.